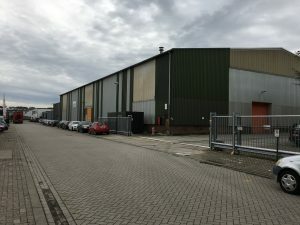 ROTTERDAM, 12 November 2018 – Tremco Illbruck, manufacturer of sealing and bonding solutions, has purchased the production warehouse at Vlietskade 4005-4007 in Arkel from a private investor. The building comprises ap. 3,300 sq m production space and was already operated by Tremco based on a lease agreement. Tremco Illbruck is a manufacturer and service provider of high-performance sealing and bonding solutions for the construction and manufacturing industry. They have 1,100 employees at 30 locations worldwide and achieve an annual net revenue of EUR 315 million. INDUSTRIAL real estate partners advised Tremco Illbruck in this transaction, in collaboration with Cushman&Wakefield and Hanna Commercial.